If I'm on active duty and my license expires, will Vermont offer a military extension? You will be covered for up to 4 years as long as you remain on duty if you have a copy of a Military Extension Card (Form TA-VL-12). While operating a vehicle during this time you will need to carry your current license, a copy of the Military Extension Card and proof of active duty in the U.S. Armed Forces. 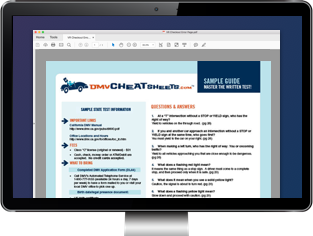 For more information on driver's license extensions, visit the Vermont DMV website. Even though I'm on active duty, I still received a license renewal notice. Do I need to respond to this? Vermont's Department of Motor Vehicles automatically sends renewal notices to all licensed drivers. You can disregard this notice as long as you have secured a military extension. How much time will I have to renew my license after I'm discharged from the military ? You will have 30 days to renew. How do I proceed with renewing my extended license after I'm discharged from active duty? Provide either a copy of your discharge papers or a statement on official military stationery, signed by a commissioned officer, proving that you were on active duty. Provide proof of your continuous military service following your license expiration. Pay the fee: $51 (license valid 4 years) or $32 (license valid 2 years) renewal fee. Where do I send my license renewal information?